James Moss comes from Dallas, Texas where he first was introduced to fine wines working for a Texas distributor. His work often brought him to the Napa Valley for further education. That is when he began to fall in love with the industry and had the desire to produce his own fine wine that he could share with friends and family and eventually all wine lovers. James decided to move to California in 1998 to follow this dream. 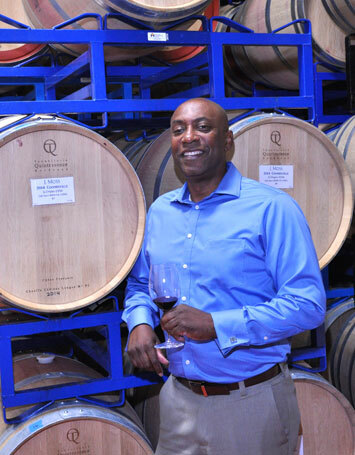 James’ career in winemaking began with helping out a friend at his small winery. This is where he soon realized the complexity and commitment it took to produce an award winning wine and he has been committed to that goal ever since. In addition to the day to day operations being the winemaker for J Moss, James hand selects the vineyards where the grapes are sourced, is the welcoming host at J Moss winery tastings and works out in the market hand selling J Moss wines to on and off premise customers in Northern California, Texas, Hawaii and beyond.